There are a lot of different questions floating around gun belts and how necessary they are for carrying a sidearm. Today we are going to take a look at some of the most common customer service questions we have received so far and do our best to answer them. What is the best width for my gun belt? The best width for a gun belt is 1.5”. While different sized belts may be better for some people, a gun belt with a width of 1.5” is the most versatile width for a wide variety of different holsters and weapon systems. A 1.5” wide gun belt will work admirably during any situation from everyday wear to a time when drawing your weapon is necessary. We dedicated an entire article to this subject, take a look here: The Best Gun Belt Width. Does a 1.5" belt give as much support as a 1.75" belt? Absolutely. A good gun belt’s support and strength come from the materials, craftsmanship, and internal stiffener. While a department store belt lacks in those departments and relies partially on the belt loops on a pair of pants for support, a quality gun belt does not. That means that a 1.5” wide gun belts will outperform any department store belt despite width. 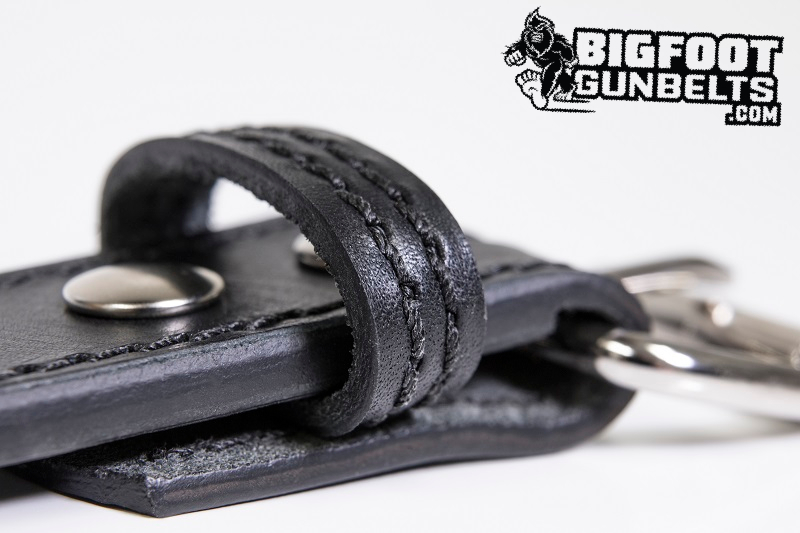 A good 1.5” wide gun belt with an internal stiffener offers immense support, strength, and durability. How stiff should the gun belt be? 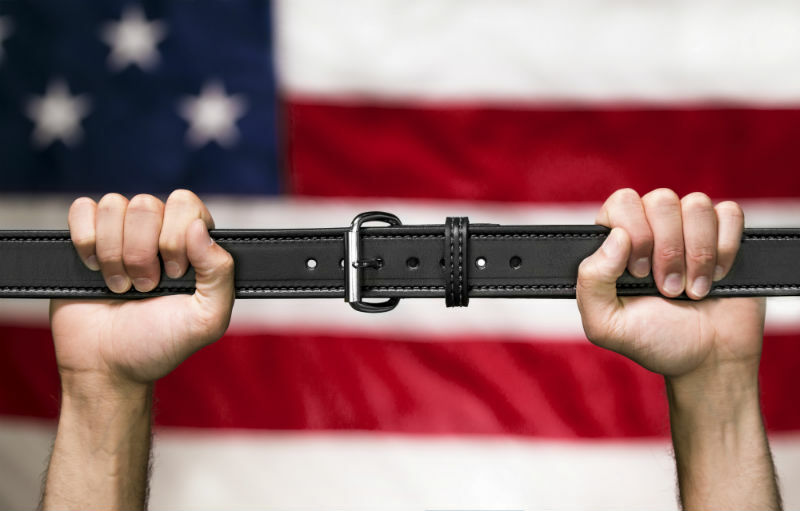 A gun belt does not need to be any stiffer than any other type of belt to perform well. In fact, the internal stiffener that a good gun belt has means that the belt will have more strength than a normal belt while also being more supple and flexible. 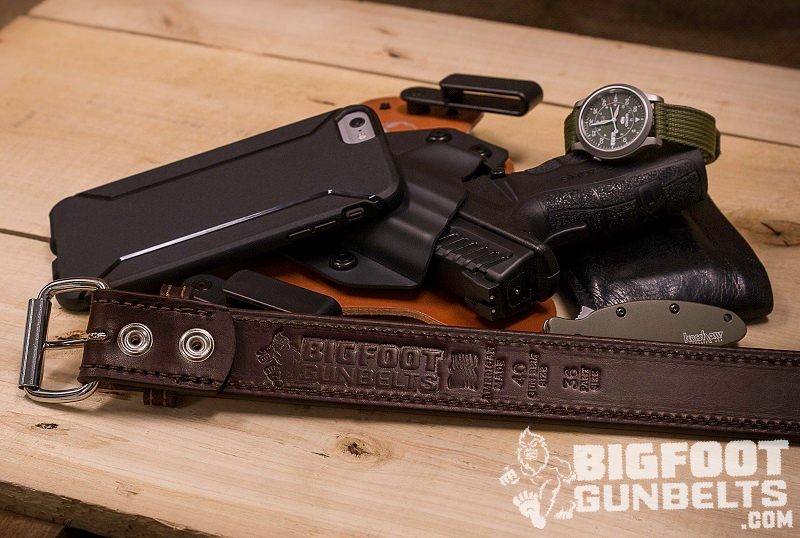 The steel core featured in Bigfoot Gun Belts is the ideal core for a gun belt because of the unique combination of strength, support, and flexibility. Is there an advantage to a double pronged belt vs a single pronged belt? The simple answer to this question is no. Any gun belt of good quality derives its strength from the materials used to make it, the methods used to put it together, and the internal stiffener. An extra prong does not add any additional advantage to a gun belt. The only difference between a double-pronged belt and a single-pronged belt is how they look. How much support will I need while carrying concealed? 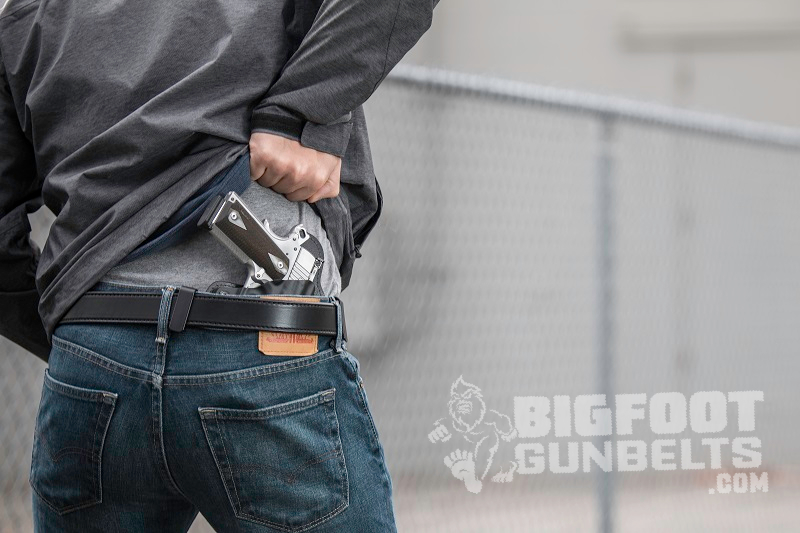 The amount of support you need while carrying concealed depends on the type of holster you have and, most importantly, the size of your preferred sidearm. The bigger the gun, the stronger the belt you will want. If you plan to carry a full-sized 1911 or something similar than a gun belt featuring an internal steel core and made with 18 oz. leather will more than suffice. Smaller guns can be supported with lighter belts. Holster security and placement is very important when carrying concealed and having a belt that has the necessary strength to keep your gun where you want it all day long is vital. A good gun belt will also resist any sagging or twisting of the holster and gun which aids in concealment. A good gun belt will not sag under the weight of a holster and firearm. It is as simple as that. Bigfoot Gun Belts hit all of those marks and more. Hopefully, this article helps to clear up some of the questions that have come up about gun belts and their varying features. If you have another question, or these answers didn’t fully answer your inquiry, keep sending in your questions to customer service and we will do our best to get them answered as soon as possible for you!